Whether you reside or work in Andheri, you’ve come to realise that the place itself is a city of its own – sometimes because the traffic getting out of here just isn’t worth the energy. So since you’re stuck in here, might as well party here too, right? That’s what we’re here for: here are the best places to party, drink and more in Andheri West. Versova and Lokhandwala are the two places people always go out to party at. But no party is complete without your visit to your favourite cheap pub. 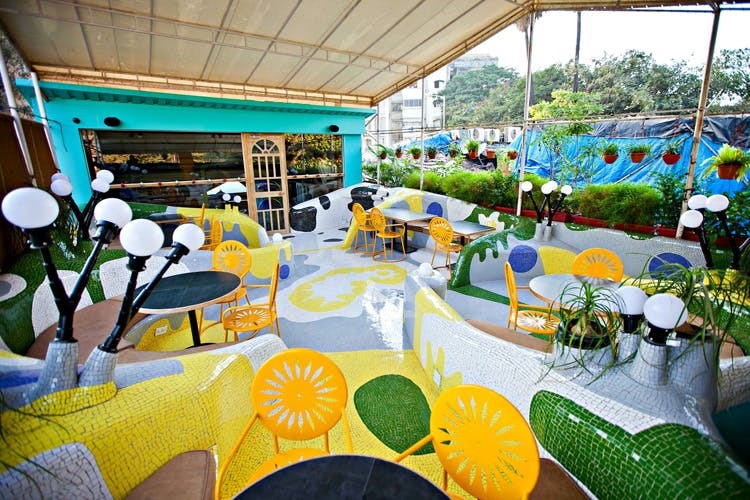 If you’re heading to Versova, then Bottles is the spot to go. It’s everyone’s favourite place, situated right below Versova metro. Cheap alcohol with decent food can never go wrong. Majority of the crowd who visit this place are 20-27 year olds, so you should feel at home here. Versova too far? Well, how about Quarter Deck? Be warned though, the venue is dimly lit. But then can’t complain when you’re almost broke. Their hot garlic chicken is a must try. Head on over to Sammy Sosa for a quiet evening with that special someone. Their cocktails and almost authentic Mexican food will make you to visit more than a few times. The staff is super friendly, and always helpful with any queries. If you’re in a group then Jamjar Diner is your best bet. If their quirky interiors and rooftop vibe doesn’t win you over, then order for their special Jargaritas. Guaranteed to make you fall in love with the place. If you’re looking to experiment with ambience, then try out the new Fun Republic Social. The interiors somehow makes people feel like they’re in an old-school theatre setting. But one thing that remains the same is their cocktails, thank god for that. What is Social without their brilliant cocktails? Maybe this weekend you and your gang are looking to hit several places in one night of unending beer jugging and dancing? Well, we’ve got options to satisfy that desire, starting with Brewbot. Yup, this one’s for the beer-lovers. You can start from either end, but we recommend you start from Doolally with their apple cider beer, to Little Door for a dance night, and then end it either at Boveda or Brewbot. The second marathon we recommend will take you from WTF!, to Treesome Cafe-House, and then to 14 Sauce Story: This is one for the crazies. Big respect if you can survive till 14 Sauce Story, since each visit will definitely get you tipsier than the previous place. For more pro tips on Andheri and Versova download the DrinnksOnMe app. Check it out on Android here, and on iOS here.